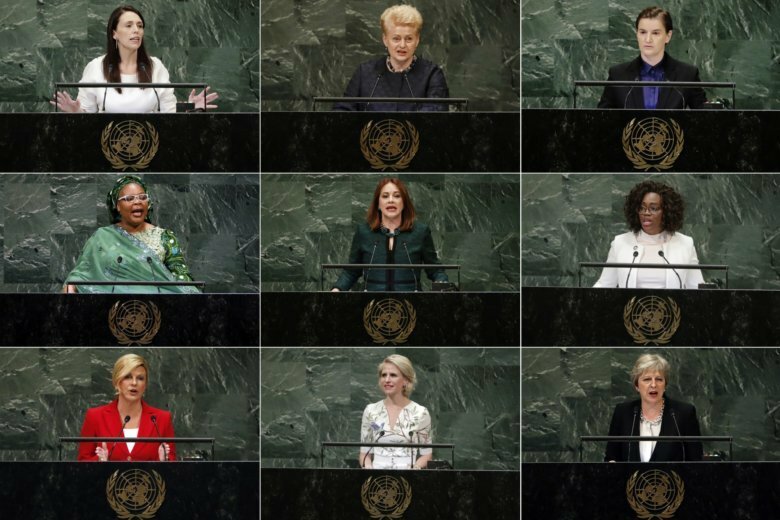 The number of women presidents and prime ministers among the U.N.’s 193 member states doubled — to 19 — from 2005 to 2016, according to a report released last year by the U.N and the Inter-Parliamentary Union, an independent group. Women held about 18 percent of the government ministers’ posts and 23 percent of parliamentary seats worldwide, the report found. This year, the U.N. itself set the tone, listing women’s rights as the No. 1 priority for this year’s General Assembly, which was ending Monday.